We may be living in the digital age, but print marketing campaigns still have power. While digital advertising is an effective tool for discovery and customer engagement, print marketing has an edge in certain areas. The act of physically engaging with a print marketing item, like menus or rack cards, has been shown to increase customer recall and information retention. While email marketing is a highly-effective tool for keeping in touch with customers, research indicates that 98% of consumers sort through direct mail (compared to the 20% who, on average, open emails from brands). Joe Pulizzi of the Content Marketing Institute argues that print, like television and other “traditional” advertising mediums, isn’t dead, nor is it likely to suffer a death anytime soon at the hands of the internet. Instead, the way that consumers interact with traditional channels has evolved slightly. Pulizzi cites numerous benefits of print as a component of a modern multi-channel marketing strategy, including the fact that print allows your customers to unplug and enjoy the beauty and appeal of a traditional marketing medium. For brand managers at distributed brands who support a large, geographically-distributed network of franchisees, dealerships, or other local representatives, print campaigns may be a particularly important tool to consider. When distributed brands unlock a unique, tailored approach to print, it can be an invaluable tool for building brand awareness and inspiring customer action. Like most advertising, print advertising has two main functions: to build awareness and create demand. When raising awareness, printed materials like billboards, logos on property or used for sponsorships, and direct mail are typical methods that brands employ. Awareness assets help to increase brand recognition but aren't necessarily tied to a direct conversion. They raise awareness, increase retention, and create positive sentiments. On the other hand, demand generating assets like direct mail with a coupon, or Point of Sale promotions, are dedicated to generating customer demand and prompting a sale. While understanding how the mix of print assets that support both brand awareness and demand generation is important, brand managers are also wise to explore the evolving use of print campaigns at some of the most effective distributed brands. The most effective distributed brands don’t have a uniform approach to assets or execution. The right types of assets vary by industry and brand. Instead, the common thread between highly-effective distributed print executions is more strategic. Brands need to focus on the way that print as a medium communicates the unique value of their brand. Success at the four organizations featured below can be attributed to aligning the print executions to the style of the brand - creating a direct reflection of who the brand is visually. Global travelers understand The Ritz-Carlton logo and signature shade of blue are associated with a certain brand promise, which the organization states as, “Consistent quality, excellence and the promise of beautiful memories.” In print ads, the Ritz-Carlton promise is displayed in full force with glamorous, award-winning photography that carries a luxurious design aesthetic. 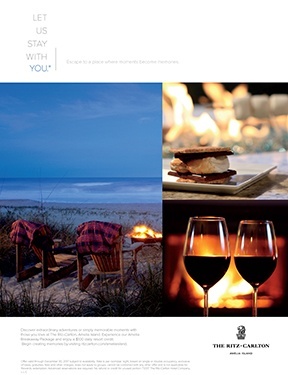 The resulting “feel” in the Ritz-Carlton’s print advertising reinforces their clients' experience of the hospitality brand and communicates key values of luxury, elegance and timeless taste. Founded in 1975, The Melting Pot started by serving up just three types of fondue in a “cozy, quaint” location in Orlando, Florida. Over the past several decades, the restaurant has expanded to over 140 locations and secured a place as a beloved dining destination for celebrating important occasions. In an analysis of just why The Melting Pot’s success continues to accelerate, Forbes noted that millennials love The Melting Pot because their dining experience is “inescapably social” in a way few other distributed restaurant chains can compete with. 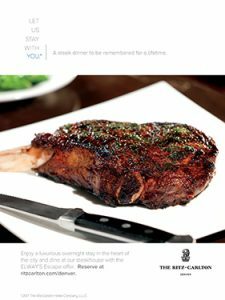 When coupled with a careful focus on the customer experience, the result is a brand promise centered on uniquely interactive dining. 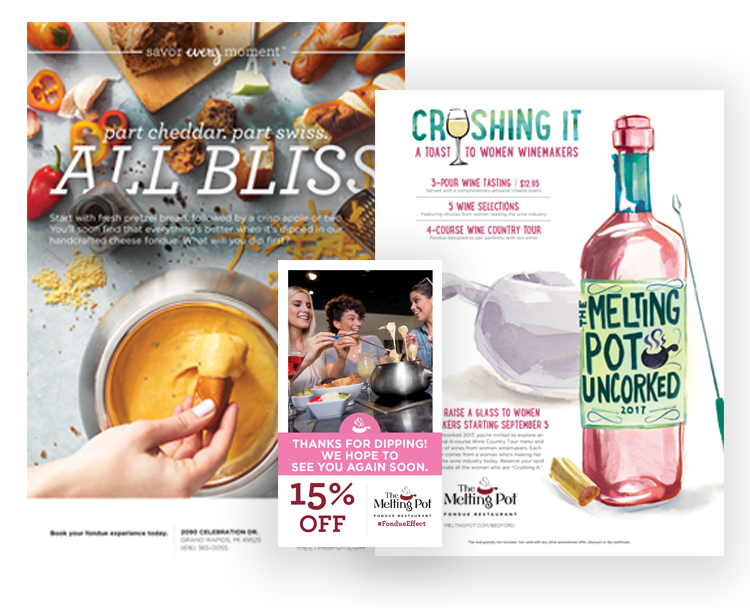 The Melting Pot’s print advertising focuses on bold food photography and keyed-out beauty shots of the star product: abundant servings of sweet and savory fondues. The cozy dining experience is reflected in the brand’s carefully-chosen colors, rich red and brown tones that pique the viewer’s appetite. To learn more about The Melting Pot's approach to managing a network of franchisees, read their case study. 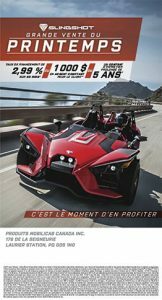 Polaris Industries is a U.S. based manufacturer of motorsports vehicles, including snowmobiles, ATVs and neighborhood electric vehicles. Founded over 60 years ago as a mechanical shop, Polaris has evolved to become one of the world’s most trusted resources for motorsports customers seeking high-octane adventure. These values are reflected in their print advertising, which takes cool to a whole new level. The headlines pop and almost feel three-dimensional to the viewer. The imagery is breath-takingly adventurous and pulls the viewer right into the midst of the action – whether it's an ATV on the dunes or a bike on the tarmac. 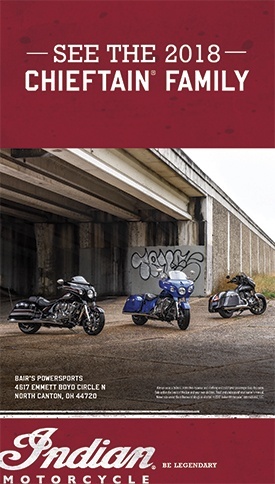 The brand essence is effectively reflected in print advertising promoting the grunge-feel of the off-road lifestyle and witty copy that exudes confidence in the brand’s knowledge of their commitment to customers. 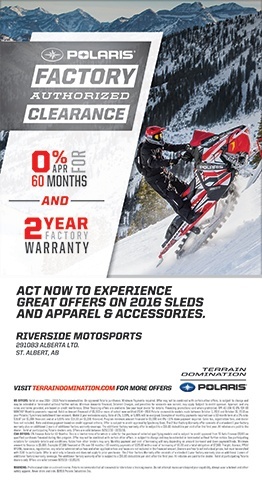 Learn how Polaris continuously executes perfectly on-brand print marketing on the local level: Read their case study. The Elements Massage brand promise could be summarized in a single word: peacefulness – and it's this idea that is thoroughly communicated by every aspect of their print advertising. Viewers feel relaxed and rejuvenated observing print materials that feature models enjoying a back rub. Messaging is conveyed in a sloping and looping typeface that lulls the audience into a relaxed state and calms the mind as you read. 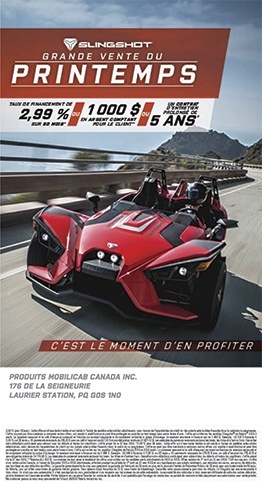 Those ads convey a small sample of the Elements experience which leaves you looking for even more. The Ritz-Carlton, The Melting Pot, Polaris, and Elements Massage all excel at print advertising because they use print as a vehicle for displaying their essential brand character to the customer. Through effective selection of photography, type, messaging, color and other key graphic design elements, they speak volumes to the customer without saying anything more than is necessary to generate brand awareness or demand for their products and services. Brand managers and graphic designers understand the key challenge in print: it’s really unforgiving. A typo can’t be changed after tabletop menus have been sent to print. An image that was 72 dpi will print as gnarly pixel blocks instead of smooth curves. An order that gets sent to the printer too late won’t get there in time for the in-store promotion. When it comes to newspaper and magazine ads, placing the media takes time and effort. The different options for paper and sizing for print ads can be confusing for professional marketers, not to mention local marketers or franchisees who don't have any background experience in print advertising concepts. At ad agencies and centralized brands, print is an area that’s left to professionals. Graphic designers who specialize in magazine layout and placement have a skill set that’s coveted and sought-after by agencies and brands. 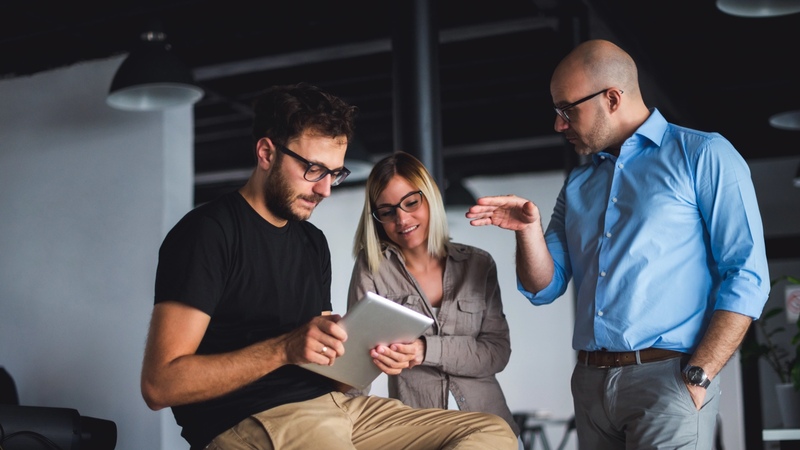 As a brand manager at a distributed organization, you face the unique challenge of capturing print marketing best practices knowledge and conveying it to your franchisees. The key to success comes down to conveying what your in-house print experts know to marketers at the local level. You need to get a handle on your marketing and advertising process by understanding your current operating mix - and how it’s working for your local affiliates. Brand managers should work to identify the types of print campaigns that contain materials from the categories listed above, and how they impact the ways in which local marketers utilize print marketing assets produced at the brand level. After understanding the types of print materials that your brand is using, brand managers should work to establish a baseline measurement of local marketer satisfaction with those materials. Are your franchisees clamoring for more variety? Are they flooding your design team with requests for custom pieces and one-offs? More importantly, can they be effective with what you’re providing them currently, or are there areas where you could make improvements in coverage to help them deliver the brand experience in a better way? With these answers in hand, and consequently the knowledge you’ve gained while evaluating your print advertising mix, you now need to address the question of how these tactics are being executed. 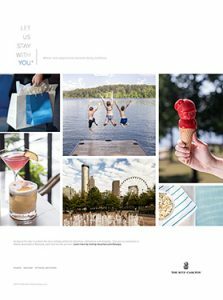 Document how your brand provides print assets or templates to locals, and how locals customize these pieces. You may have a centralized tool for local marketing execution, such as a Local Marketing Automation software, or your locals could be customizing assets using a mixture of design tools like InDesign, Web-based tools, MS Word & Powerpoint. 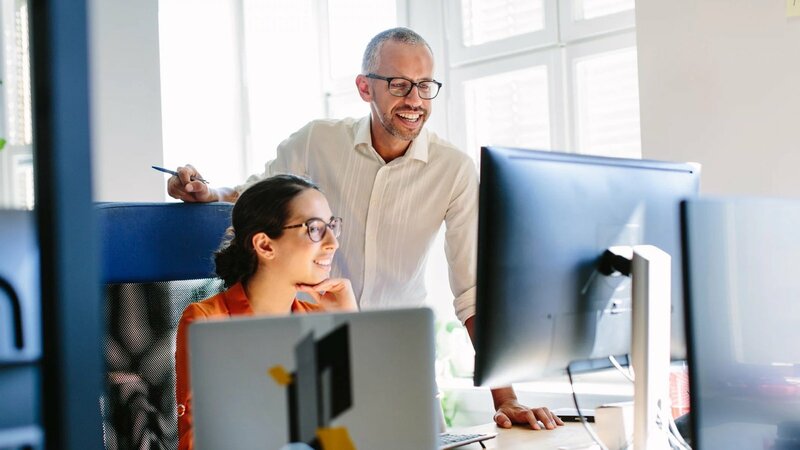 By evaluating local marketer satisfaction and your processes, brand managers can work to identify the sources of snags in efficiency and local execution. Listening to local marketer feedback, allows you to identify key areas that could benefit from improved processes and tools like templates. In today's digital-first world, brand managers are navigating more options than ever for creating brand awareness and demand generation. As your organization works to support national and local marketing goals, optimizing the way your brand uses print advertising can help you convey your brand promise for better customer awareness and purchase decisions. The world’s most effective distributed brands have identified consistently fantastic ways of communicating their brand promise via print advertising through the right use of design elements. However, they’ve also likely worked hard to understand their print advertising mix, processes and taken local marketer feedback into account to choose the right tools and technologies for consistently great execution at the local level. With consistent processes, the right assets and technologies that enable locals to achieve the same standard of excellence as a skilled in-house graphic designer, you can unlock the full potential of print advertising for your brand as well.